Discover more about the plants and animals in the Cairns Botanic Gardens on one of our tours! The Friends of the Botanic Gardens conduct FREE guided tours of Flecker Gardens starting 10am Monday to Friday, most weeks of the year. Tours generally take 60-90 minutes and showcase key areas of the Gardens including the Conservatory and Aboriginal Plant Use section. These tours are designed for casual visitors to the Gardens. To join a tour, simply meet up with the guide outside the Friends House (no bookings required). Private guided walks for tour groups can arranged by the Friends of the Botanic Gardens. These walks are designed in consultation with tour leaders to best meet each group's requirements - including start time, duration, specific interests and any special needs. Sufficient guides are provided to maintain a ratio of one guide to six or seven visitors. Educational guided walks for schools and other educational institutes are free. Bookings are limited so book well in advance. Please use our school booking form or send us an email at gardens@cairns.qld.gov.au. Available every Tuesday commencing at 8.30am. Meet at the Friends House, Flecker Garden. The walk takes approximately two hours. We recommend you bring binoculars and wear sensible walking shoes. History tours of the Tanks Art Centre and Botanic Gardens precinct are held each Tuesday and Thursday morning from 10am. Meet at the Botanic Gardens Visitor Centre. Please note, history tours are on-hold over the wet season and will recommence in March. Our series of audio tours allows you to become your own tour guide. Each tour has a downloadable map that contains reference points for the coloured markers mounted on plant identification posts, corresponding to the audio track numbers. It's easy to download or share the audio files on your mobile device. Simply click the play button located on the media player screen of each tour. This self-guided tour will take you to a selection of Heliconia plants around Flecker Garden. While not every species will be flowering you will see some amazing plants that make these gardens a tropical paradise. Download the map to plan your self-guided walk ( PDF, 0.84 MB ). Take our virtual tour for a peek at our palm, paperbark and pandanus forests, central Flecker Garden and the Gondwanan Heritage Garden plus more. But remember - as a museum with a living collection, our exhibits, displays and plants are always changing, so you may see different plant displays and exhibits each time you visit the Gardens in person. To navigate within the virtual tour, click and drag your mouse in all directions, or use the buttons on the navigation bar. This virtual tour was produced prior to construction of the new Watkins Munro Martin Conservatory (which opened in September 2015). The video footage features images of the former fern and orchid houses which no longer exist. These popular linked walking tracks wind through the Mount Whitfield Conservation Park, located behind the Cairns Botanic Gardens. Further information is available from the information office in the Botanic Gardens Visitor Centre. 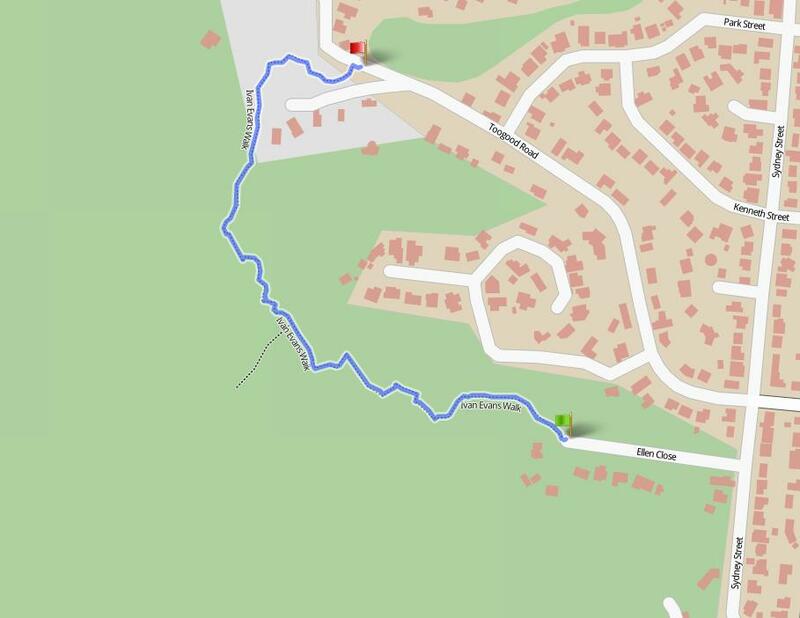 Download the guide to walking tracks of Mount Whitfield Conservation Park ( PDF, 2 MB ) for information and maps of the Red, Blue and Green Arrows. The Red Arrow Circuit is 1.3km and takes about 30 minutes. It is forested, has many steps in steep sections with two open viewing areas overlooking the city and north towards the airport. The track climbs 100m in elevation through rainforest, Eucalypt forest and grasslands to a lookout above the Cairns International Airport offering views over the city and out to Green Island. The Blue Arrow Circuit begins near the lookout on the Red Arrow Circuit. The Blue Arrow is 5.4km and takes 3-4 hours. It is a rugged bush track through mainly rainforest to an elevation of 300m. It has steep climbs and requires a reasonable level of fitness. The Green Arrow is a 3km track which starts towards the top of the Blue Arrow loop and branches off to the west ending at Whitfield. It offers views along the coast to the north of Cairns. The track can be accessed by walkers from Whitfield, in Bel Air Drive. The Yellow Arrow links Aeroglen to the Red and Blue Arrow walking tracks. The total length of the trail is approximately 2.34 km, incorporating key viewing points over Cairns Airport. The trail incorporates a number of natural features along the walk including large rock slabs and boulders, rock lined gullies, a Pandanus tree garden and large native trees. The Yellow Arrow trail provides a circuit route via the Red Arrow, Collins Avenue and Saltwater Creek back to Aeroglen. It also services the dog off-leash area at Aeroglen.